•Hooke named what he saw "cells"
1.The cell is the smallest entity that still retains the characteristics of life. a.A plasma membrane separates each cell from the environment, permits the flow of molecules across the membrane, and contains receptors that can affect the cell’s activities. b.A DNA-containing region occupies a portion of the interior. c.The cytoplasm contains membrane-bound compartments (except bacteria), particles, and filaments & all bathed in a semi fluid substance. 3. 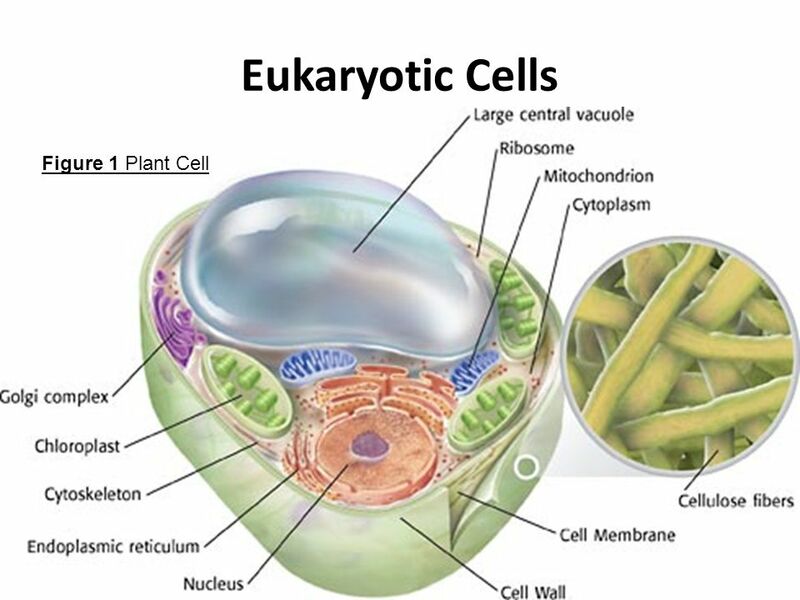 Eukaryotic cells are defined by their possession of a membrane-bound nucleus. 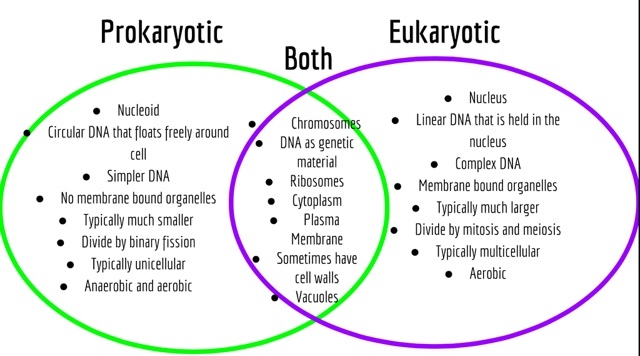 4.Prokaryotic cells have no defined nucleus; the only representatives are bacteria. 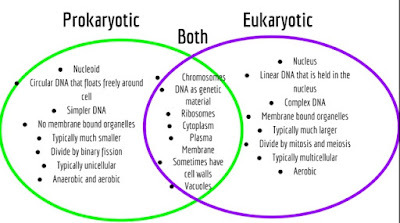 eukaryotic and prokaryotic cells have cellular organelles, but the organelles of the prokaryotic cells are simpler and not membrane bound. 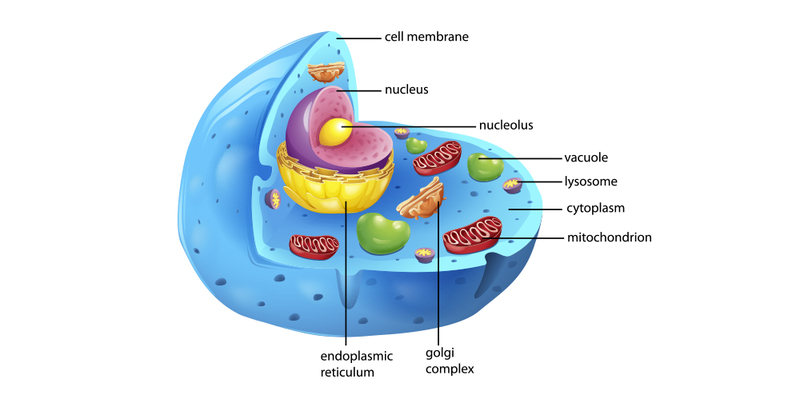 There are many different types of organelles in a cell. Organelles like the nucleus and golgi apparatus are usually single while others like mitochondria, chloroplasts, peroxisomes and lysosomes are in large numbers about hundreds to thousands. The cellular organelles are suspended and surrounded in a gelatinous fluid cytosol that fills the cell. The ER is a complex network of tubes. The lumen is filled with fluid. There are two types of endoplasmic reticulum - smooth ER and rough ER. •Smooth Endoplasmic reticulum - They are tubes with a smooth surface as they lack ribosomes. The smooth ER helps in secretion of lipids. 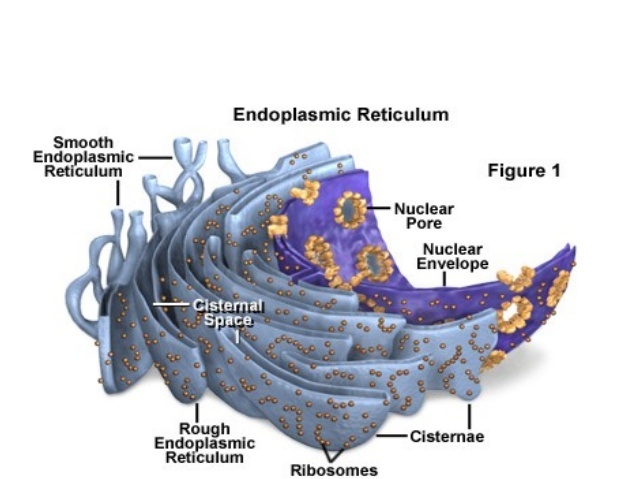 •Rough Endoplasmic reticulum - They are tubes with rough surface as the ribosomes are attached to its surface. The main function of the endoplasmic reticulum translation and folding of new proteins which takes place in the rough ER and the expression of lipids that happens in the smooth ER. •The Golgi bodies are elongated, flattened structures called cisternae and they are stacked parallel to one another. 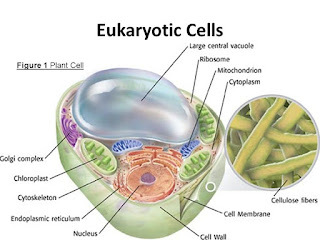 •They are bound by a single membrane and are found close to the nucleus. •The vesicle formed from the ER fuses with the membrane of the Golgi apparatus. 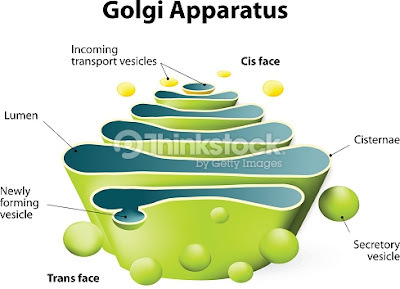 •The cavity of the Golgi body is has vessel proteins that are modified for export. The main function of the Golgi apparatus is sorting, packaging, processing and modification of proteins. It also forms lysosomes and peroxisomes. •Lysosomes are single membrane bound structures. •They are tiny sac like structures and are present all over the cytoplasm. The main function is digestion. They contain digestive enzymes. Lysosomes contain digestive enzymes that are acid hydrolases. •They are responsible for the degrading of proteins and worn out membranes in the cell and also help degradation of materials that are ingested by the cell. .
•During the period of starvation the lysosomes digest proteins, fats and glycogen in the cytoplasm. •They are capable of digesting the entire damaged cell containing them, hence, the lysosomes are known as "suicide bags" of the cell. •Ribosomes are the site for protein synthesis of the cell. •It is composed of two subunits, a small subunit and a large subunit. •The ribosomes subunits act as an assembly line where the RNA from the nucleus is used to synthesize proteins from amino acids. •Ribosomes are found freely floating or bound to a membrane or attached to mRNA molecules in a polysome. 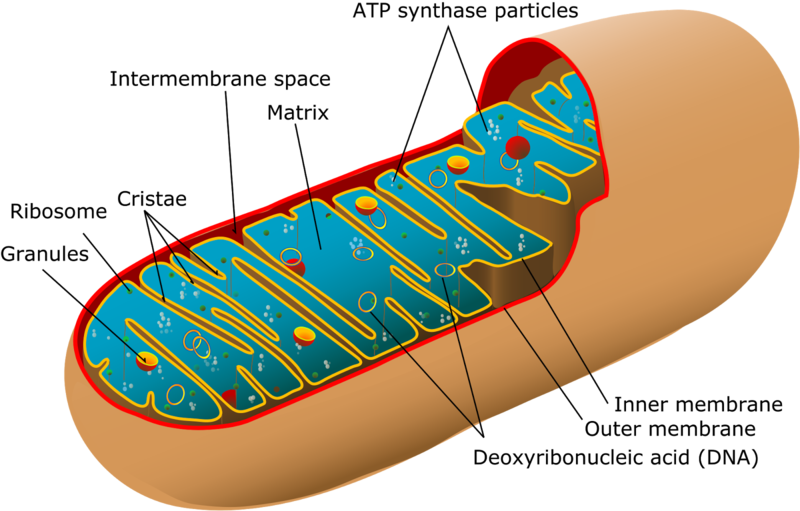 •Mitochondria are double membrane bound. The inner membrane is folded into numerous cristae. •Mitochondria are the power generators of the cell. •They are capable of self-replication as they possess their own DNA. •The main function of mitochondria is to produce energy through metabolism. •In the mitochondria sugar is finally burnt during cellular respiration. •The energy released in this process is stored as high-energy chemicals called adenosine triphosphate (ATP). •The energy is used by the body cells for synthesis of new chemical compounds. Plastids are cellular organelles found only in the plant cell. Plastids are of three types - chloroplasts, chromoplasts and leucoplasts. •Chloroplasts are elongated disc shaped organelles which contains chlorophyll. Chlorophyll is present in green plants which helps them make food by the process of photosynthesis, which uses energy from the sunlight is converted into chemical energy. •Chromoplasts are plastids which are found in fruits and are yellow, orange and red in color. •Lecuoplasts are colorless plastids. They found in roots, seeds and underground stems. The function of chloroplast of trap solar energy for the process of photosynthesis. Chromoplasts gives color to flowers and fruits which helps in pollination by attracting pollinating agents like insects and birds. Leucoplasts acts as storage for food in the form of carbohydrates, fats and proteins. •Nucleus is the largest organelles in a cell. 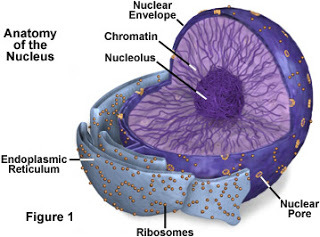 •Nucleus has different parts like the nuclear envelope, nucleolus and the chromosomes. •The nuclear envelope is a double membrane structure; it encloses the nucleus and segregates the chromatin from the cytoplasm. •The nucleus contains chromatin. It contains the genetic material of the cell which are organized as multiple long linear DNA molecules that form chromosomes. •Nucleolus produces ribosomes that function in the expression of gene code into proteins.